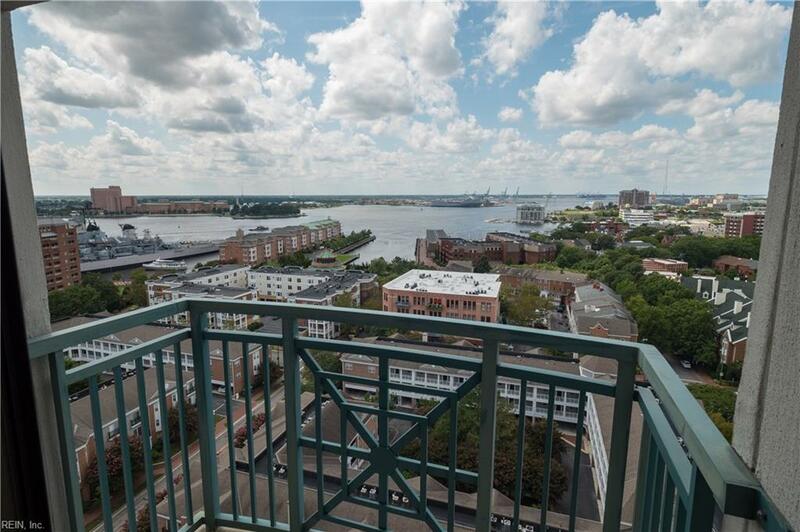 Experience the sought after westerly views of the Elizabeth River, Harbor, Downtown Norfolk and stunning sunsets! 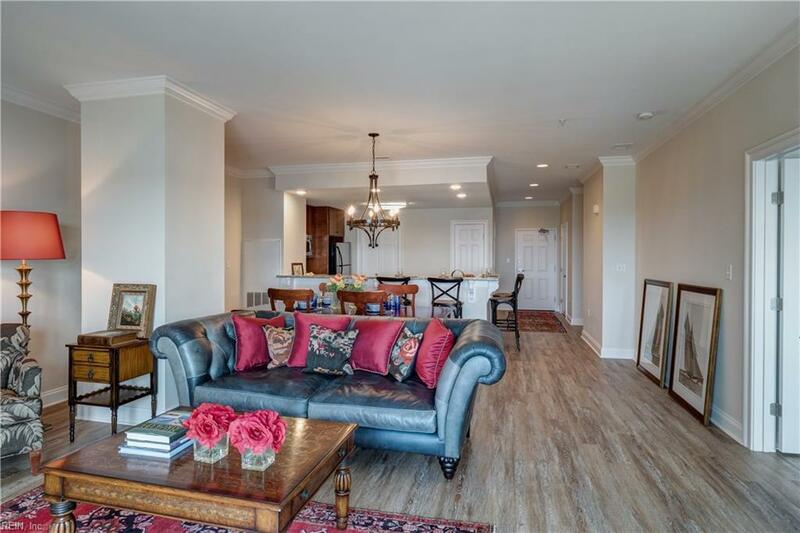 Enjoy convenient downtown living with walking distance to fantastic restaurants, shopping, arts and music venues, and transportation. 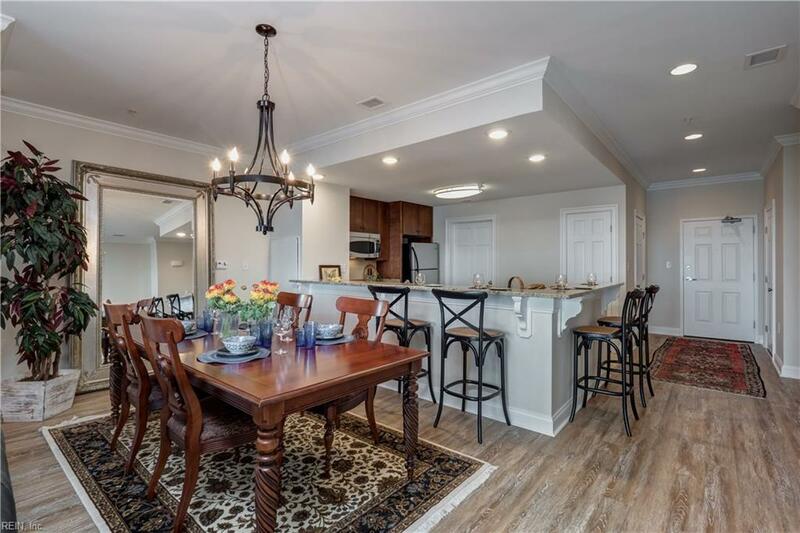 Kitchen with granite tops, stainless steel appliances, and gas range. A new stainless side by side refrigerator to be installed prior to closing, or you can take a $1875 credit at closing in lieu of the fridge. 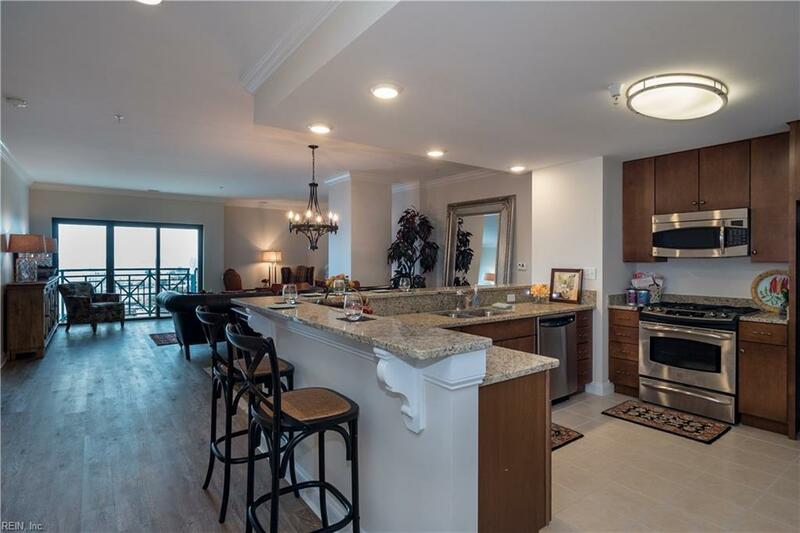 Kitchen opens up to the living area with unmatched views!! Luxury wood vinyl plank flooring (100% waterproof and scratch resistant) installed throughout. Two covered secure parking spaces come with the condo. Secure building, storage units and additional parking available in thee building...come enjoy all that downtown Norfolk has to offer!